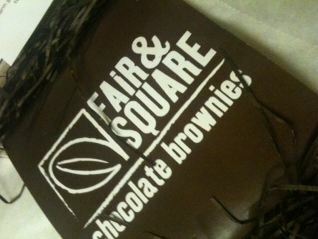 Fair & Square Brownies contacted me and asked if I wanted to review their brownies. I couldn’t say yes fast enough! 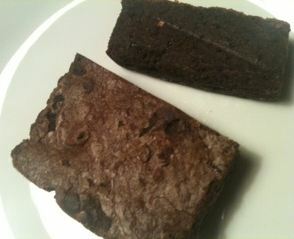 Apparently all their chocolate brownies are handmade in a home kitchen in the Cotswolds. Everything is baked freshly to order and either posted to taken to the farmers market they attend. But for Fair & Square it isn’t just about the fresh brownies they are passionate about Fairtrade sourced chocolate and cocoa. They have chosen Barry Callebaut for their fair trade chocolate but also choose locally sourced eggs, flour and more. But what are the brownies like? I had six brownies to choose from and so I tried all six! ORIGINAL CHOCOLATE – The original brownie; pure, rich chocolate heaven. This was a lovely and dense fudgy brownie. I’m not a huge fan of caky brownies and so these were delightful. Perfect fudgy goodness. 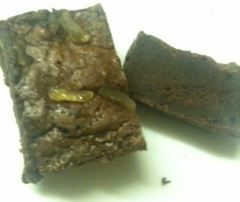 GINGER– Chocolate and strips of ginger through the brownie. They are spicy and you can taste that ginger *woo* but they aren’t going to burn your lips off because that warming is ginger and not chilli. 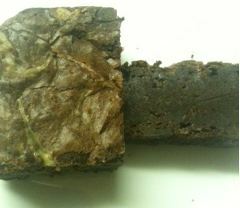 Nice gentle warming spice of ginger and squidgy ginger in plentiful supply in the brownie. RASPBERRY – The fruity sharpness of raspberries combines so well with our rich chocolate brownies. This might have been my favourite brownie. 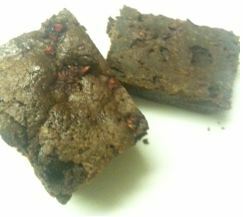 The sharp tang of the raspberries, the delicious chocolate fudgy brownie… moist and delicious. Probably one I’d buy from the market stall again! SALTED CARAMEL – Our chocolate brownie with a spoonful of delicious caramel sunken into the mix. I expected this to be really sweet but it wasn’t too bad. This salted caramel was delicious and balanced and not too sweet. BLACK CHERRY – Deeply fruity cherries combine so well with the intense chocolate flavour. I’m not as sure about this one. 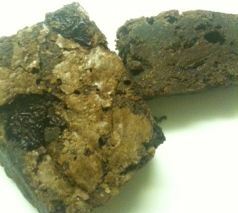 The brownie is still soft and fudgy but the fruit isn’t as prominent here. It isn’t like the raspberry which I thought was quite in your face. Soft and subtle with large chunks of fruit. WALNUT – A wonderful nutty crunch. This one I found to be the possibly most traditional of them all. 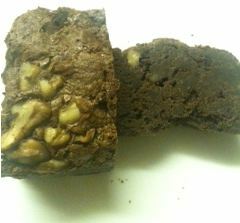 As a child I think most of the brownies I had were of the walnut variety. These thankfully were crisp and fresh walnuts. They were not soft but still has a satisfying crunch to them. So over all, a nice selection. If I was buying them, I’d choose the raspberry ones and probably a salted caramel but there is something for everyone I think.